This is it! SEVEN OAKS at its best. Gated, Move in Ready and Fully upgraded 4 Bedrooms (TWO OF THE BEDROOMS ARE MASTER SUITES + one bedroom and Bath on the 1st floor) + flex room, 4 Full Baths on oversized corner lot with a 3 Car Garage and POOL. 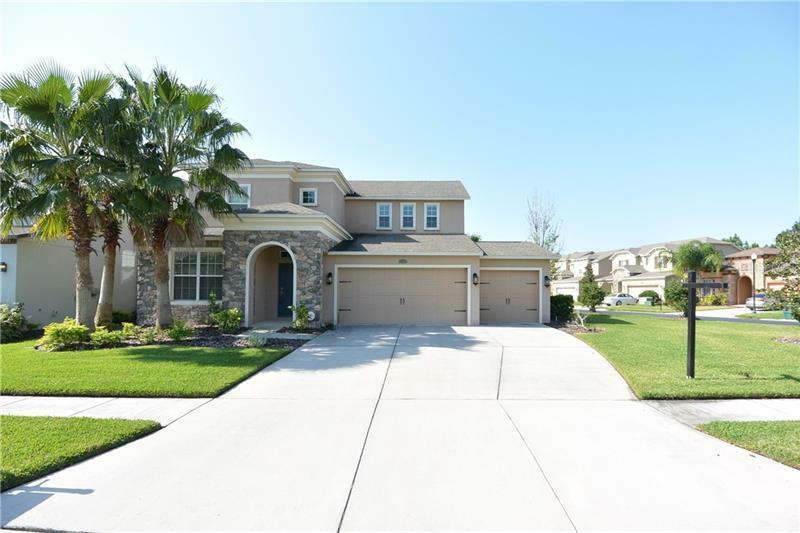 This pristine home features Dual master bedrooms, both master bathrooms with dual sinks and walk in closets, spacious secondary bedrooms, open plan room with high ceiling ceilings, Open Kitchen with Granite Counters overlooking family room leading to the outdoor kitchen and Pool area. The POOL is heated and on salt system. The main Master Bath has a Tub and separate shower. Additional upgrades include, solid wood stairs, surround sound with speakers on the family room & lanai, gourmet kitchen with double ovens and 42â cabinets. Seven Oaks keeps you close to great shopping, dining & excellent schools. The community is across from Wiregrass Mall, Florida Hospital and features great amenities such as resort style swimming pool with toddler pool, covered playground, clubhouse, fitness center, basketball courts, tennis courts, miles of walking trails and much more. Come see it today and take advantage of the best market to purchase a home we have experience in decades! It Wonât last!